Aldershot, whatever some may say, has its charms. The (former) premises of J Salter & Sons stand on the High Street, a curio amid the inferno of fast-food joints, pound shops, cash advance merchants and shabby franchises. This business, with its small workshop above the shop, was once the world’s leading manufacturer of polo equipment. Aldershot, the traditional home of the British Army, was also a centre of the sport of polo. James Salter, from Exminster in Devon, began repairing polo sticks while he was serving with the Royal Artillery in India. Having returned to England and retired from the army, Slater opened his business in 1884. His son Sydney succeeded him and then Raymond Turner, once apprentice to Sydney, took the reins. When Turner retired in the mid-nineties, Sean Arnold, a sporting antiques dealer bought the premises. With Mr Arnold now retired, the shop is closed. That century of craftsmanship and tradition has ended and will never be revived. 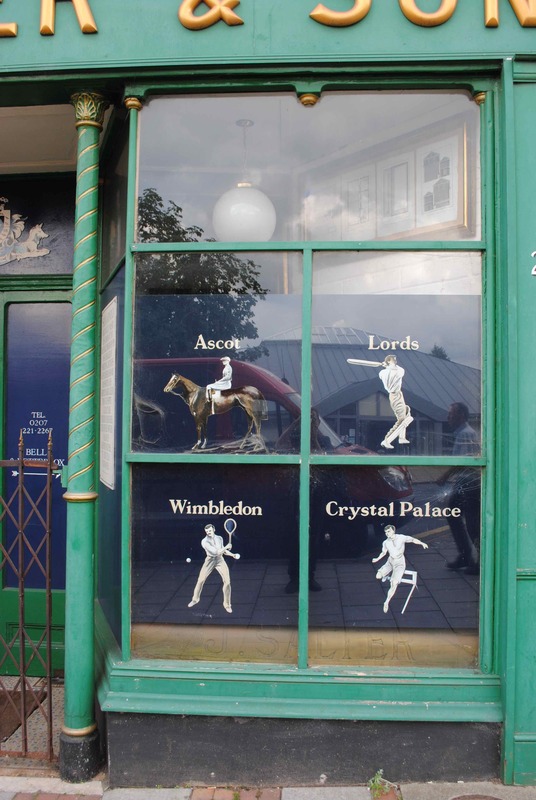 The shop front still carries illustrations of British sporting venues, an invocation of Corinthian endeavour that somehow underlines how much sport has changed in the last half-century: Hurlingham, Windsor, Wembley, St Andrews…Crystal Palace, Ascot, Lords, Wimbledon…This blazonry on the dusty windows of an obscure shuttered shop in Aldershot serves as a poignant memorial to a more innocent sporting age: before image rights, before doping scandals, before institutionalised corruption.